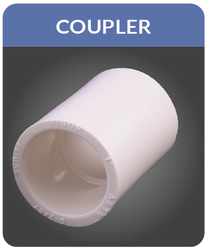 We are the renowned manufacturer and supplier of an optimum quality range of CPVC and UPVC Pipe Fittings. We are leveraging the strong domain expertise of our R&D specialists to bring forth a wide assortment of next generation products, such as CPVC Pipe Fitting, UPVC Elbow and UPVC Tee. Offered products are well-manufactured by our highly experienced professionals using the qualitative grade material and modern techniques. The provided products are widely appreciated among our clients for their durability, high strength, abrasion resistance and optimum finish. Further, we offer these products to our clients at most affordable prices. We are one of the leading manufacture of ISI Certified CPVC pipes. Pipes are ranging from 1/2" to 2" . These superior pipes are available on SDR 11 & SDR 13.5 Classes. Pipes are available in the length the length of 3 meters & 5 meters and dispatched as per clients requirement. We are even Exporting our CPVC pipes to Africa, Middle East, Nepal & Bangladesh. 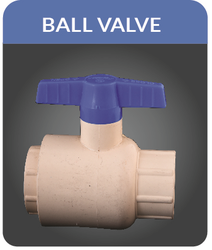 These are used in plumbing as well as industrial purposes. Light weight & high strength. Resistant to acidic & alkaline substances. No rust, sedimentation or calcification. High quality raw materials for production. 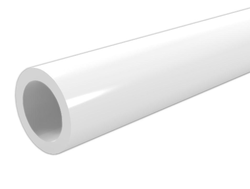 We are one of the leading manufacture of qulity UPVC pipes. Pipes are ranging from 1/2" to 2" . These superior pipes are available on SCH 40 & SCH 80 Classes. Pipes are available in the length the length of 3 meters & 6 meters and dispatched as per clients requirement. 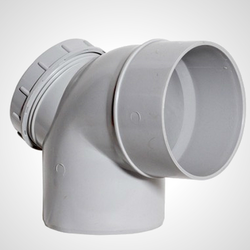 WE PROVIDE WIDE ARRAY OF UPVC PIPES FITTINGS WHICH ARE OF SUPERIOR QUALITY. 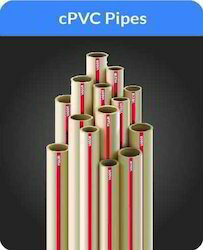 WE HAVE COMPLETE RANGE OF PIPES & FITTINGS WHICH VARIED FROM 1/2" TO 2". 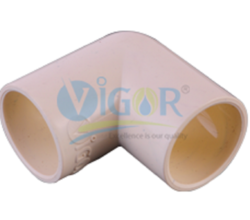 OUR PRODUCTS ARE AVAILABLE WITH BRAND NAME OF " VIGOR ". WE HAVE COMPLETE IN HOUSE MANUFACTURING OF FITTINGS WHICH ALSO INCLUDES THE BRASS INSERTS WHICH ARE BEING MOULDED IN IT. We manufacture wide range of SWR Fitting that are made from premium quality materials that offer long life and durable structure to them. We offer SWR pipes that are lightweight and can be easily handled.